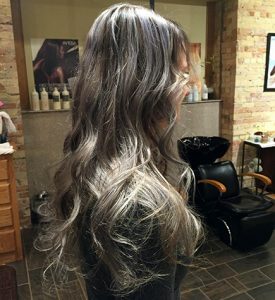 Corrective Color, Color Melting & Balyage Prices are Based Upon Consultation. – Deep-acting body exfoliant with immediate and long lasting results. Our bridal services include veil and hair accessory placement as well as any unforeseen issues on your special day. 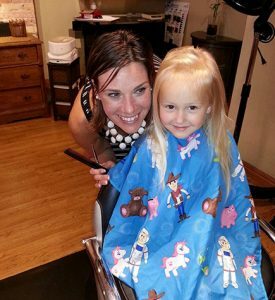 Using our preview services is a great way for you to meet our Stylists and finalize your desired hairstyle and makeup. 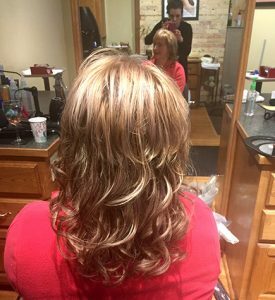 Your preview session takes an hour and a half and includes up to 2 hair styles or makeup application. Airbrushing and lashes are included. Please note that the preview services prices are the same as the “day of” services. Prices for the various wedding services are listed below. A 20% gratuity will be added to all bridal parties. Appointments can be made over the phone or in person. Walks ins are always welcome. When booking more than one service, spa package or a wedding party, we request that you reserve your appointment with a credit card. Gratuities are appreciated, but of course left to your discretion. A 20% gratuity will be added to all bridal parties. Time is valuable to all of us. Please arrive 15 minutes before your scheduled appointment to allow for enough time to check in. Any guest arriving 15 minutes past their scheduled time may be asked to reschedule. We ask that you respect all of our guests by turning off your cell phone/pagers when entering the spa area. To avoid a missed appointment fee, please provide us with a 24 hour notice of cancellation. All of our services are guaranteed for 7 days. No cash refund will be given. Professional products must be used to guarantee chemical services, and any retail product return must be made within 7 days with your store receipt. No cash refund will be given for gift certificates or products; a store credit will be given. Copyright © Laurentian Salon & Spa All Rights Reserved.